© Sarah Potter and sarahpotterwrites.com, 2011/2017. 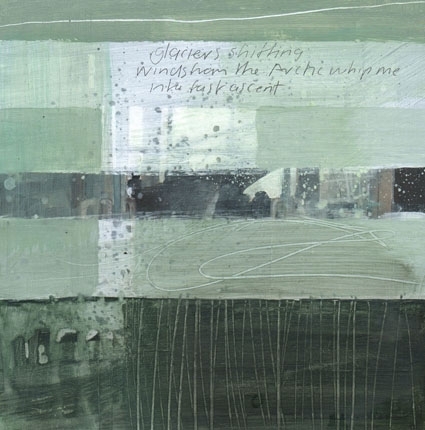 Unauthorized use and/or duplication of Sarah Potter’s haiku poems and/or of Julian Sutherland-Beatson’s original artwork without express and written permission from this blog’s author and/or owner is strictly prohibited. These are wonderful. I would press the like button but there isn’t one on a page. I thought you’d appreciate me setting up an art exhibition on line, as it was too far for you to travel to the live exhibition. So far, the feedback is excellent. These are fabulous, Sarah! I could see them as art prints, or on notecards. Beautiful work. Thank you for such praise:-) Yes, we are keeping open minds about different avenues for them, so the more feedback/suggestions, the better. Beautiful, Sarah. I especially love the bird ones but they are all stunning. Thank you so much. I’m glad you liked them:-) Birds absolutely fascinate and inspire me, so I never run out of new things to say about them. Thank you so much:-) I’m feeling most encouraged and touched by everyone’s enthusiasm for this project. Glad to see your work set to a visual medium! Must be so exciting! Thanks, yes, it’s extremely exciting – especially as I never know which of my haikus Julian’s has chosen to interpret until he reveals the paintings to me in their finished state. And I’m always thrilled at the result, as he has totally got what I’m saying. Yes, I’m into the wry and sometimes dark humour. 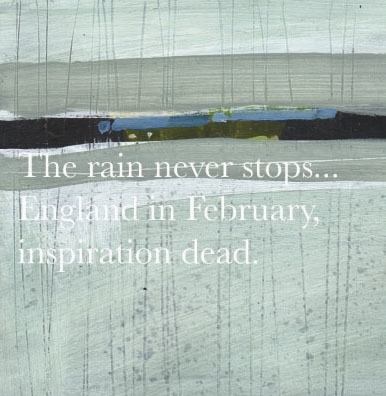 It’s very interesting that Julian, the artist, chose my darker haiku to illustrate. I just handed him a whole load of them–some light and humorous and some serious–but the ones on this page are those he felt moved to paint. You’re right Sarah – quite an artist! 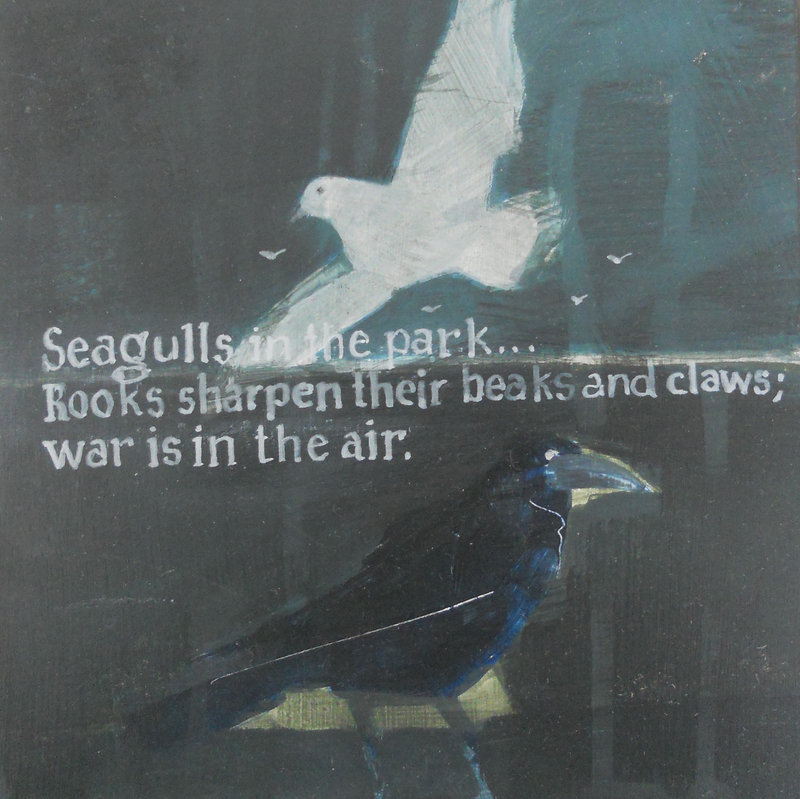 “Seagulls in the park…” I like the concept! Great Haiku! My pleasure Sarah, you may find some of my own…Easiest way is by searching, or the looong list of recent posts, I found out that it is easier to have visitors pick something they may enjoy. Absolutely lovely words and art. So glad to have found you (through Naomi B). 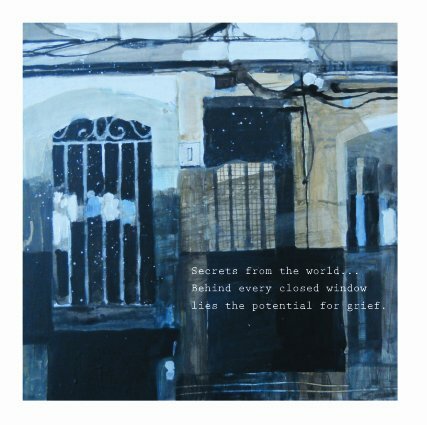 “the potential for grief!” that especially touched me. These are absolutely stunning. You are so talented. Emma. 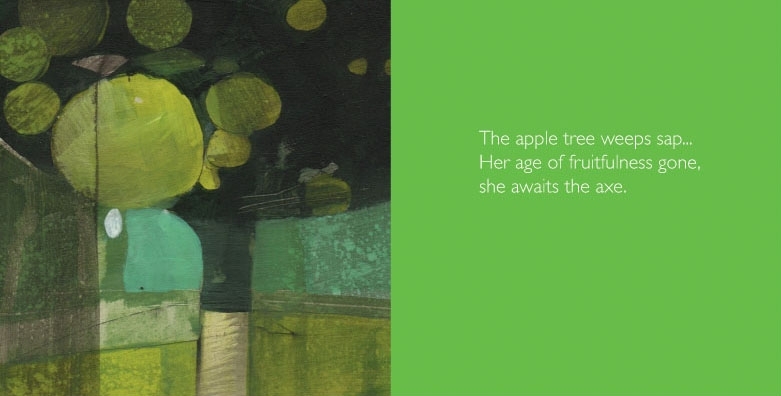 What a wonderful idea combining haiku with art, love it, as I’m a haiku enthusiast too. 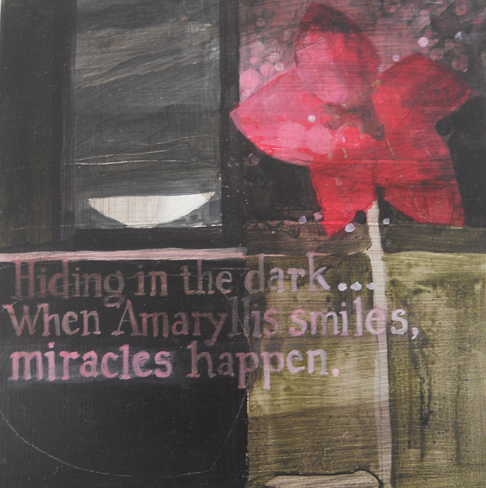 I loved the experience of handing over my haiku to an artist and seeing how he interpreted it. It would be wonderful to work with him again with another set of haiku, but he’s extremely busy as he’s going places with his art and exhibiting in prestigious places, such as the Royal Academy. He has also been Artist in Residence at Glyndebourne (Opera House) for several years running. I feel it was a great honour having had the opportunity to collaborate with him on a project. 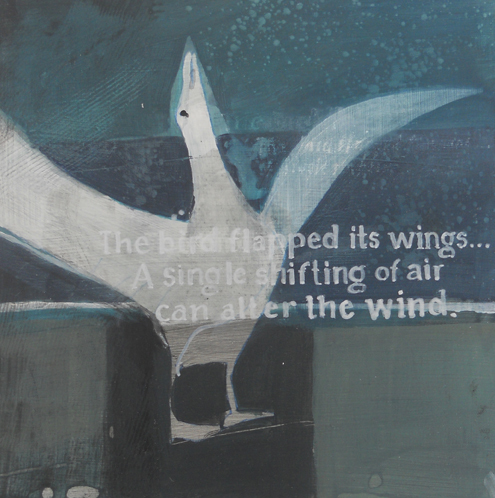 How wonderful to collaborate with an artist – great idea and it worked so well with your haiku. Very glad to have come across your blog! Beautiful things – art, words, thoughts. Love it. Best, Nadia (planet Earth, but probably mixed). Thank you! Best to you.